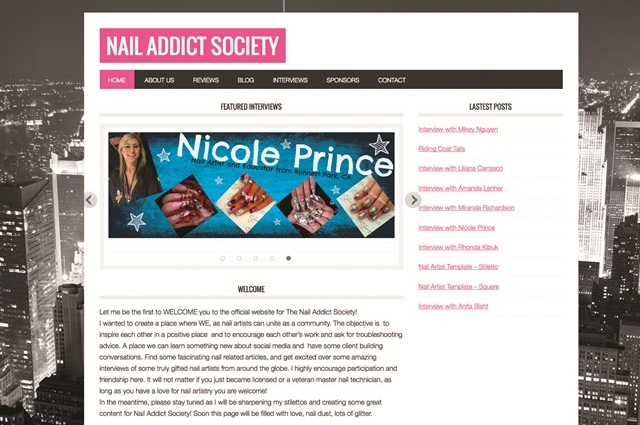 Started by nail tech Sheera Gersh, the Nail Addict Society Blog aims to bring together nail techs from around the globe. Why click there? Started by nail tech Sheera Gersh, the blog is still in its early stages but promises to bring together nail techs from around the globe. Says Gersh: “My vision is to help nail artists evolve behind the table by sharing the voices of industry experts. I have posted some truly awesome interviews with some of the hottest nail artists about what inspires them. I have also been diligently writing about salon life to keep nail artists motivated and moving forward.” Content will also include troubleshooting techniques, nail art tutorials, and product resources.